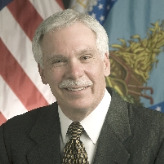 Born and raised in Bismarck, North Dakota, Ed Schafer served as the 29th Secretary of the US Department of Agriculture from January 28, 2008, until the inauguration gof Barack Obama. Schafer graduated from the University of North Dakota in 1969 with a bachelor’s degree in business administration and earned an MBA from the University of Denver in 1970. After finishing graduate school, Schafer went to work for his father’s business, Gold Seal Company, a successful marketer of nationally-known consumer products, including “Mr. Bubble” bubble bath, “Glass Wax” glass cleaner and “Snowy Bleach.” Schafer held a series of management positions with the company before becoming president in 1978. Under his leadership, Gold Seal’s sales climbed to $50 million through acquisitions and new product introductions and its net worth tripled. It was sold in 1986. Schafer then went on to launch several new businesses, including a commercial real estate development company, a fish farm and a classic car dealership. Schafer’s first run at public office came in 1990, when he challenged Democratic Congressman Byron Dorgan for his North Dakota House seat and lost. Two years later he successfully ran for governor of North Dakota and was re-elected in 1996, serving a total of eight years until 2000. While serving as governor, Schafer was elected chair of the Western Governors Association. In 2000 he was elected chair of the Republican Governors Association and that same year he co-founded and co-chaired the Governors Biotechnology Partnership to increase public understanding and support for the benefits of agricultural biotechnology. After leaving office in 2000, Schafer co-founded Extend America, a venture capital-backed company, to provide wireless voice and high-speed data services to commercial and residential customers in five rural Midwestern states. Shortly after taking over as Secretary of Agriculture, Schafer got into a war of words with the Humane Society over video footage that the organization shot of mistreated cattle at the Hallmark Meat Packing Co. plant in Chino, CA. 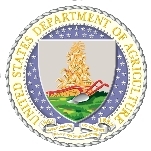 Schafer complained that the Humane Society should have alerted the USDA sooner about its findings, claiming that the animal rights activists contributed to the cows’ suffering.